There's a handful in the top 50 I wouldn't agree with. This argument is similar to video game top lists though. I am shocked DrWho is not in the top 100. But then I remembered something. 50+ new games have come out in the last 12 years and a LOT of them are in the "Top 100". There is not a qualification for having a pin listed in the "the list" besides the number of ratings. It should be number of ratings along with a weighted system that accounts for how long the game has actually been out. For example, every month (or week) the game has been out, it is ranked with a weighted average against the games that came before it, all the way back to say... 10 years ago. If a game is released and the code is not quite done, then the code gets better, are people actually going to go back and "repair their rating"??? No way. You can't have a system that relies on people actually running maintenance on their game ratings. A pinball game is released and it CHANGES now. It's not like back when Taxi was released and the game was done, except for bugs and oddities. The production of machines has CHANGED and the rating system should change along with it. I choose to not participate or look at the "Top lists" because I do not agree with how they are calculated. Certainly, improvements have been made but a "modern" listing is not the same as a "classic" game. You can't compare technology like this and you shouldn't. It's like trying to rate the best pagers in the world along side with the best smartphones. I could care less if Iron Maiden is better than Firepower. But I might care how it matches up with Stern Spiderman. And I might care how Firepower ratings look vs. Joker Poker. Also, a user's game rating that has been a Pinside member for more than 5 years should mean more than someone who has been here for 1 year. I value the opinions of experience when dealing with an online pinball rating system. I DO realize you can make custom lists now (and it's an OK compromise), I just don't know why everything is still grouped together by default. I mean, the EMs are listed separate. Why not break it up some more? Johnny Mnemonic is top stuff. Among the very best. World cup soccer is pretty legit. Challenging game with an awesome theme. You do not see it for sale much, so owners know how good it is. Should be in the top 25. Disagree Dr. Who is not top 50 material and I do believe I owned yours snyper plus just got rid of my second. It's fun, but not top 50 fun. Top pick would be Mystery Castle. It has a great theme, great art, unique features, and while not super deep is the only alvin g with any real depth to it. Radical would be my second pick. Unique layout, killer art and sound. Not top 50 but top 100 would be Avatar LE. No mention of Nascar anywhere on this thread?? Theme is garbage in my humble opinion BUT the game is super fun to play and unique. I would never own one because I have a three pin limit BUT if I had more room and money I would. always loved the one on route near my house. The number of votes also plays havoc on that list. Take Alien for example. Overall there is not that many people who have played it, and while maybe it might be a great game, not many actually would know first hand, yet due to the higher scores by the few # of people, it is rated at 50 right now. This. Same idea goes for the sterns which, for the most part, are way more availabile to play. Especially for people new to the hobby. I personally don’t really like many of the new sterns, right down to the single wound coil... I just think they can feel baron and cheap ( although the price doesn’t reflect that ). That’s merely my opinion, which the list is based on... opinions. I think it should be based on number of votes and age of the machine. Problem with rare titles is that so few play them even after 20 years that they will remain buried at the bottom of the lists. On the other hand I don't care if 200 people vote for Iron Maiden because it usually takes a good couple years before people fully explore the game and decide if it has legs or not. Everything new is automatically good and the more terrible game the faster it plummets from the top 10, but it can still take ages and some people never rescore it after their first experience. Earthshaker, Demo Man, Frontier, Flintstones, too many to name. Everyone knows that the top 100 is too recently loaded to be real. Honestly Sopranos should be there too. That game earns more on location than medieval madness. All beginner players love that game. Most of the system 11s are highly underrated bc they don't have the bells, whistles, and code of the modern pins. But they're easy to play and understand. And most are just plain fun. 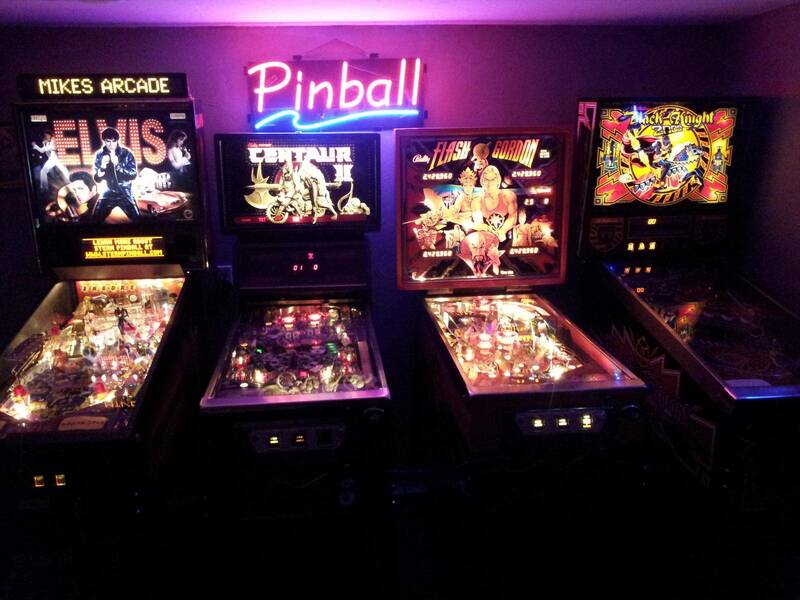 They epitomize, to me, what pinball should be.